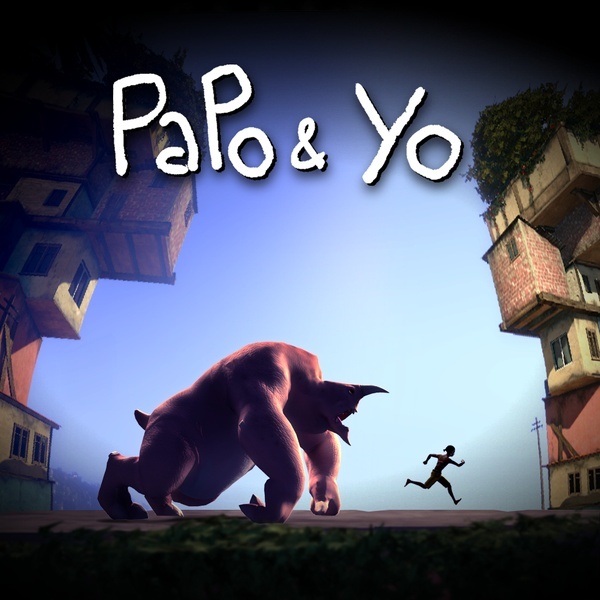 My latest PopMatters article is now live: Transformation and Papo & Yo. So I wrote about a very personal game in a somewhat personal way. For the most part, I tend not to talk about my own history of familial abuse. I am not shy about it by any means, it's not a big secret at all really. I have mentioned it on the podcast a few times in the past and I discuss it a little in the article without going into a whole lot of depth. I tend to avoid it for a couple of reasons. First, I actually don't think it applies for the most part. It's not something I need to get off my chest, so I unless it is somehow applicable (and in this case it is), then it never comes up. Also, especially if it does not apply to the subject at hand, I doubt most people are all that interested in my personal history. Second, my experience with child abuse no longer defines me. Or rather, I made a conscious long ago to be the arbiter of how my experiences growing up affect my well-being today. Dealing with a history of abuse is a process and each person's experience is different, but often times that process starts with a personal confrontation - an recognition and acceptance of one's experience. I say in the article that Papo & Yo is about transformation, but equally - or even necessarily - it is also about confrontation. Quico's monster is every present and always returns to him, at times by coercion and at other times by cue. His connection to Quico is constant and physical. Even when he is not present, you are constantly aware he is around a corner. Time and again Quico must confront the monster out of necessity. This act is a powerful one and the familiarity with his destructive tendencies pushes and prods Quico to his own personal confrontation. I want to stress here something I perhaps do not make clear enough in the article. Papo & Yo is not a perfect game by any means and I do genuinely agree with those who believe the game could be harder without sacrificing its themes. However, this game is about something, explicitly and completely. If you give it time to work its magic, it can be a transformative experience. I give in. I'm going to have to just get this soon since you guys keep writing and talking about it. You people writing interesting things about games... How could you do such things! Making me spend money on things I'll likely find interesting. I know, we're table. But really, you should check out this game. Hi. Just wanted to chime in and offer my support for your work. I've been gaming for about twenty years, however, I slowly broke away from the medium several years ago after becoming increasingly frustrated with the direction of the mainstream industry. Well, the prodigal son has returned (you know, the one that nobody really liked)! As it happened, I tripped over "World of Goo" and landed in the exciting landscape of indie games. This renewed interest in gaming just brought me to your site and...well hell, I'm really excited to see people treating games as relevant texts. Thanks for sharing your insights! Furthermore, I'll definitely have to check out this title since it sounds like I share a similar life history. Ahh, the peculiar encounters we experience.